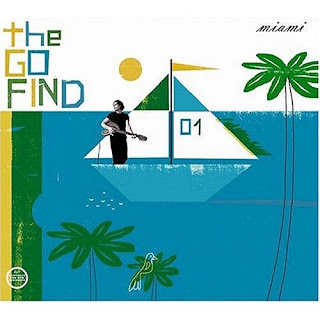 I'm probably biased about The Go Find cause the name of this classic electronic album is from my hometown of Miami, but this debut album released in 2004 on one of my favorite labels of all time Morr Music is stellar and a classic! Morr Music which was responsible for bringing many amazing acts to the world's attention including Lali Puna, Ms. John Soda, Notwist, Styrofoam, Radio Dept. and many others released this classic at the exact right moment of my life, 2004. Just a year after Postal Service released their classic 'Give Up' I was always on the look-out for the next great electro-pop record and this one was one of only a select few which lived up to my expectations. It's an excellent midtempo electronic pop record with great vocals and lyrics which tug at the heart. One of my favorite 'car' records that I would hear over and over without getting bored of it. I can't recommend it enough. Fans of intelligent electronic pop music will love this! Long live The Go Find! They released sophmore album Stars on the Wall in 2007 which I recommend as well, but this debut has a special place in my heart.